Professor Kleinstreuer’s long-term goal is to provide students with a high-quality education in engineering and to perform cutting-edge research that responds to national needs in science and technology. 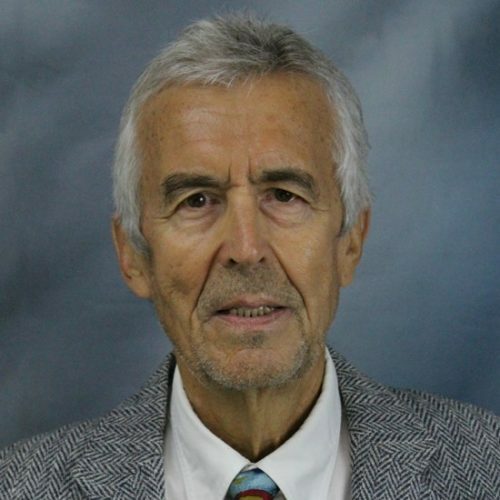 He recently developed the graduate-level course entitled “Modern Topics in Fluid Dynamics” (MAE 589K). This course treats such modern topics as microfluidics, bio-fluids, and nanofluid flow. At the undergraduate level, he teaches Engineering Thermodynamics I (MAE 301) as well as Fluid Mechanics (MAE 308). Although these are courses that follow a classical coverage of material, he also presents energy transfer and fluid-particle flow animations to help students visualize the different phenomena being treated. Furthermore, Student White-Board Performance (SW-BP) is an integral feature of advanced learning. As a faculty advisor, Dr. Kleinstreuer guides his students to meet industrial and academic challenges. His students have a strong knowledge base in physics, applied mathematics, and gain a strong foundation in computer modeling of complex multi-physics phenomena. Outside of work, Dr. Kleinstreuer enjoys family activities such as tennis, chess, sailing, and the arts. Dr. Kleinstreuer is interested in computational biofluid mechanics, convection heat and mass transfer, and system optimization. He is presently studying computationally: 1) fluid-particle dynamics in the human respiratory system, including optimal targeting of inhaled drug aerosols; 2) radioactive micro-sphere transport in the hepatic system to reduce/eliminate liver tumors; 3) fluid-structure interaction in stented aneurysms, associated with rupture prediction and novel stent-graft design; and 4) nanofluid flow in micro-channels applied to cooling devices and bio-MEMS. Predictive, ie, accurate and realistic, results from computer simulations of the fate of drugs administered via nasal nebulizers (or spray pumps) are of great importance to the FDA. Key elements of such a comprehensive numerical analysis include: â€¢Geometric nose-to-trachea models addressing subject-variability â€¢Modeling of air-particle-mucus interactions affecting direct drug-aerosol transport â€¢Simulation of drug-aerosol transport and deposition subject to different nasal sprays â€¢Mucociliary clearance (MCC) dynamics and drug transport/absorption Section 2 summarizes preliminary results in support of the proposed computer simulation model, which is described in Sect. 3 (Research Plan). It will be developed in OpenFOAM for general, cost-free use. Based on the current research activities and the purpose of the FDA funding opportunity, the Specific Aims are: (i)Development and validation of transient 3-D MCC and interactive particle transport/deposition models applied to different nasal geometries (ii)Use of a representative configuration to simulate and analyze drug-aerosol absorption and clearance, as well as the effects of inlet conditions and changes in nasal geometry (iii)Writing of research papers as well as a userâ€™s manual in OpenFOAM The comprehensive computer simulation model will be an important investigative tool for FDA scientists, toxicologists, drug-developers, and regulators. Understanding the transport mechanisms of inhaled natural and man-made nanoparticles and accurately predicting the deposition in realistic human airways are of great interest. Experimentally validated computer simulation results are needed to assess health effects of inhaled toxic nanoparticles appearing in the environment and now more frequently in the workplace, as well as the fate of administered nanodrugs for therapeutic purposes. The overall goal of this proposal is to develop a validated, comprehensive, public-access computer simulation model of inhaled air-particle dynamics and deposition/clearance for representative, subject-specific cases. The new computer model will produce realistic and accurate results to gain new physical insight and provide an array of useful applications. Examples include: health-care providers focusing on drug-aerosol targeting of lung tumors, federal regulators assessing toxic nanoparticle deposition from man-made sources, and scientists interested in nanoparticle clearance aspects. The research plan calls for a combined computational and experimental approach to understand interrelated fluid-particle interaction mechanisms and to develop a predictive computer simulation model. Building on two decades of experience in lung-aerosol dynamics modeling and simulation by the PI and his Research Team, the novel submodels for two-way coupled fluid-structure interactions, non-spherical particle dynamics and air-mucus transport and particle clearance mechanism will be developed in the MAE Department at NC State University. The experimental work, focusing on nanomaterial depositions in the same subject-specific airway models, will be carried out at Mercer University (Macon, GA) by Prof. S. Hyun with the assistance of undergraduate students. Clearly, the anticipated results: (i) are related to technology innovation (i.e., applied to virtual testing of a patented smart inhaler system for optimal drug-aerosol delivery); (ii) have multiple applications (see broader impacts listed); and (iii) interface engineering and life sciences (e.g., health-care and/or environmental regulations). Over a two-year project period mathematical modeling and computational analysis will result in the following three major deliverable: (i) Local deposition pattern for eight aerosols stemming from Next Generation Products (NGP); (ii) Reports and codes addressing the numerical models of the physico-chemical properties and transport phenomena of NGP aerosols; (iii) Results concerning key parameters influencing deposition pattern. In order to reach this overall goal, the project is divided into seven tasks with associated research plans as discussed in the Research Plan. Needed PMI data sets for proper computer simulations are listed as well. (a) Objectives: (i)	Development and testing of a realistic and accurate computer simulation model for the prediction of engineered nanomaterial transport and deposition in representative respiratory systems of workers, children and seniors. (ii)	Construction of validated, easy-to-use correlations of nanomaterial deposition, based on the validated computer modeling results. (iii)	Generation of nanomaterial absorption and transport results in tissue needed for physiologically-based pharmacokinetics (PBPK) modeling efforts. (b) Approach: A dual numerical multiphysics approach for obtaining useful nanomaterial deposition results is proposed, considering respiratory system replicas of workers, children and seniors. Transient 3-D computer simulations of: (i) realistic configurations of the upper respiratory tract, and (ii) nasal/oral airways with variable multi-triple bifurcation units, including alveolated ducts, representing the entire respiratory system. Simulation results from task (i) will be thoroughly validated with experimental data sets, while results from approach for task (ii) will be compared to results from (i) and employed to generate an easy-to-use algebraic ?lung model? for inhaled nanoparticle deposition. (c) Results: Novel fundamental and applied research results are anticipated. As part of NSF?s mission, they foster the understanding of the fate of nanomaterial in human respiratory systems, while the applied results aid in EPA?s mission to protect human health and DOE?s mission to explore the potentially harmful impact of inhaled nanomaterials produced in the energy sector. Specifically, submodel developments for: (a) three-phase flow of solid nanomaterial, inhaled air, and liquid mucus layer; (b) rod-like nanomaterial transport and deposition; (c) fluid-structure interactions of airflow and bronchial/alveolar-walls; and (d) tissue-uptake of nanomaterial are basic advancements never addressed before in the context of the proposed project. The applied research results include realistic experimentally validated tools for predicting inhaled nanomaterial depositions in three susceptible population groups as well as easy-to-use deposition correlations. This proposal describes the continuation and extension of our previous AFOSR-contract work on "Multi-scale Computational Analyses of JP-8 Fuel Droplets and Vapor in Human Respiratory Airway Models" (Award No. FA9550-04-1-0422). The results of the first two years (08/01/04-07/31/06) have been documented in 13 journal articles and presented at two conferences and three AFSOR-sponsored workshops. Specifically, employing the validated computer code CFX from Ansys, Inc. (Canonberg, PA) and our proven particle tracking code "F90", the following simulations have been completed: (i) modeling of airflow as well as nano- and micro- particle deposition; (ii) comparison of micro- and nano-size particle deposition in human upper airways, relying on an actual cast model and the Weibel Type A upper bronchi geometries; (iii) studies of multi-component (JP-8 fuel) and/or impure droplet evaporation (or hydroscopicity) and their effects on lung deposition; and (iv) JP-8 fuel vapor deposition in light of variable wall absorption. Key underlying assumptions were aerosol sphericity, smooth rigid airways, and stagnant mucus layer. In the remaining funding year we will simulate and analyze additional lung generations to cover G0 (trachea) to G15 using repeatedly a symmetric triple bifurcation unit (Weibel Type A) and compare results with those obtained with more realistic lung morphologies (after Horsfield/Raabe). Furthermore, lattice-Boltzmann modeling of alveolated bifurcations will be improved and our correlations for global lung deposition assessment will be extended. The new research objectives for 2007-2010 can be grouped into basic and applied studies. The purpose of the proposed fundamental work is to obtain more realistic and accurate local and regional micro/nano-particle deposition data in representative human respiratory systems, covering nose/mouth inhalation and subsequently both conducting and respiratory zones. Of special interest are: the behavior of non-spherical particles, especially Al-oxides heavily used in weapon manufacturing and carbon nanotubes, suspect of high toxicity effects; the impact of distensible walls in the lower lung regions; and the effect of lung morphologies, i.e., considering healthy adults (workers) as well as children and the elderly. With the overall goal being the prediction how much deposits where for any set of air-particle inhalation conditions, the applied studies focus on JP-8 fuel aerosols and nanomaterial transport/deposition in combined nasal and lung airways. Experimentally validated deposition results will be made available in form of local and segmentally averaged concentrations as well as easy-to-use global lung correlations. Measured data sources for computer model validations and simulation of realistic intake scenarios have been provided by AFOSR contractors, the PI's long-term collaborators, as well as the open literature. As in the past, we continue to use the commercial fluid-structure interaction software CFX-ANSYS (Ansys, Inc) but also our in-house finite volume code CFPD (computational fluid particle dynamics), including particle tracker F90, as well as our later in-house code for distensible alveolated bifurcations based on the lattice-Boltzmann method (LBM). Hardware platforms available free-of-charge are NCSU's High-Performance Center (HPC) and the HPC at the Army Research Laboratory (ARL). The expected results, i.e., detailed computer simulations and algebraic global lung deposition correlations, are an integral part of AFOSR's toxicology program (Life Science Division), focusing on JP-8 fuel and nanomaterial. Specifically, given actual inhalation conditions, knowing how much deposits where in the human respiratory system is important for toxicologists, regulators, and health care providers alike. Inhalation of therapeutic drug aerosols, a standard procedure for the treatment of lung airway inflammations and obstructions, is now becoming a novel way to combat cancer, diabetes, AIDS, and other diseases. Existing drug aerosol delivery devices, especially for targeting specific areas in the lung, still have poor efficiencies (e.g., 5%-20%), and consequently major portions of the often-aggressive medicine deposit on healthy tissue. We have recently developed a methodology of "controlled air-particle streams" where most of the drug aerosols reach the desired lung target area (i.e., 45%-92%). This methodology was successfully tested for micro-particle targeting on a hemispherical tumor located in the fifth lung generation, using a validated computer simulation model. Motivated by these results, this research project proposes the development of a device, which will implement the methodology. The long-term vision is a "smart" inhaler, which has the potential to dramatically increase deposition efficiencies over currently used technologies. At the same time, it will also automatically detect and adapt to a patient's breathing pattern, thus removing the need for individual training and the associated intake uncertainties. These intelligent features will be realized through the combination of sensors, an adaptive inhaler tube and reservoir chamber, both actuated by shape memory alloy (SMA) actuators, and a control logic, which is based on the experimentally validated predictions of the computer simulation model. Nasal inhalation helps to protect the lungs from detrimental effects of toxic particles and vapors which, however, may also place the nasal cavity itself at risk. Alternatively, optimal delivery of drug aerosols via nasal sprays is a modern way of rapid medicine transfer to the brain. In any case, a detailed characterization of nasal airflow and nano-to-micro-size particle deposition patterns are most desirable to answer questions related to these challenging fluid-particle transport phenomena. This proposed project is an extension of our three-year NSF-funded work on aerosol transport and deposition in the human upper lung airways (BES-0201271 which ends 06/30/05). Employing our in-house, experimentally validated computer program, three research objectives are proposed: (i) to simulate and analyze the laminar-to-turbulent airflow structures as well as the transport and deposition of solid and liquid aerosols in representative human nasal cavities, considering a wide range of effective particle diameters, i.e., 1nm< dp<10µm; (ii) to develop criteria for physical drug-aerosol characteristics and injection/inhalation conditions leading to optimal medicine delivery to desired nasal target areas; and (iii) to investigate nasal vs. oral air-particle inhalation with subsequent aerosol deposition when combining the proposed nasal cavity with our existing upper airways, i.e., mouth to bracheobronchial tree. Intellectual merit. A fundamentally sound and experimentally validated computer simulation model is most appropriate when trying to achieve both: (a) high resolution of laminar-to-turbulent airflow structures in the complex nasal airways, and (b) inhaled microparticle, nanoparticle and vapor (when dp<10nm) distributions and deposition patterns, including local ?hot spots?. Using the computer simulation model and with the objective of controlled maximum particle deposition, criteria for optimal nasal drug delivery will be established as well. Broader impacts. The fluid-particle dynamics results for representative human nasal cavities are most important for: (1) dosimetry-and-health-effect studies when considering toxic ultrafine particles, and (2) guidelines to design a device when considering optimal nasal drug delivery.